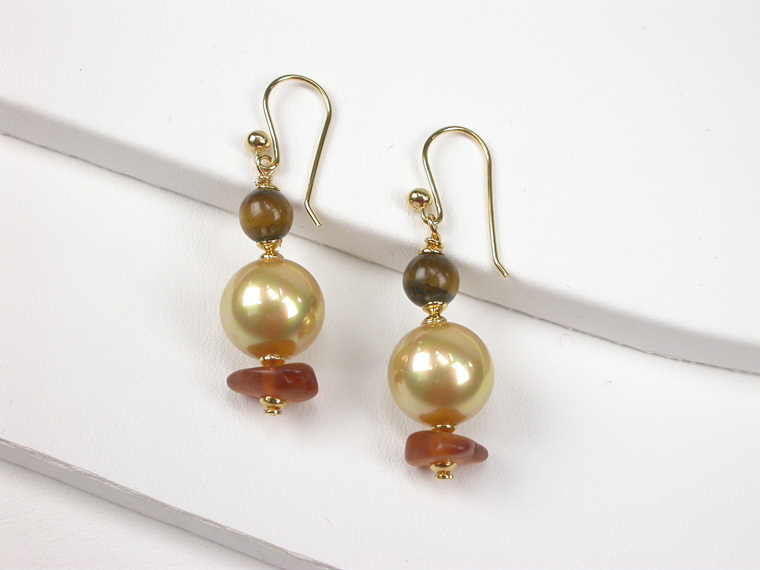 Hook Earrings in a very original design with 12 mm golden Pearls, Tiger Eye and Ambar in 18 karat Goldplated mountings. Wear them alone or highligth the beauty of the Necklace wearing them as a set. Modern Sterling Silver Earrings with 10 mm. 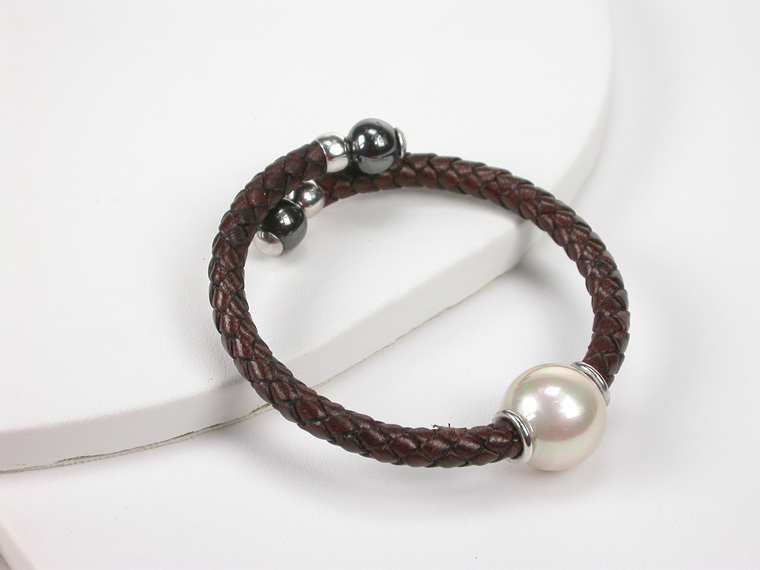 pearls in Aubergine colour that transmit an original and trendy style. 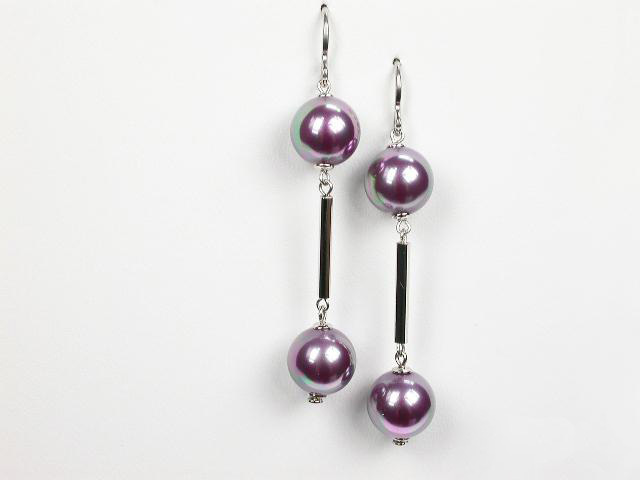 Sterling Silver Earrings with Black and White Pearls in 10 and 12 mm. 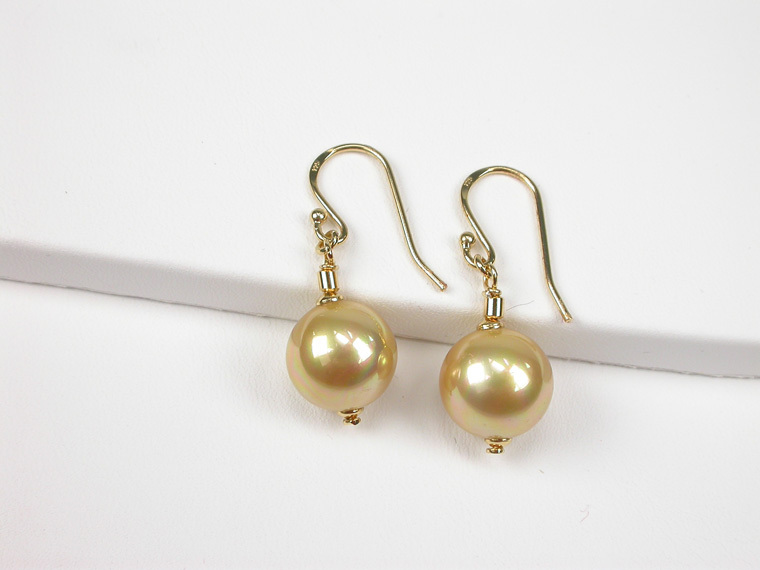 The size of the Earrings is 10x33 mm. 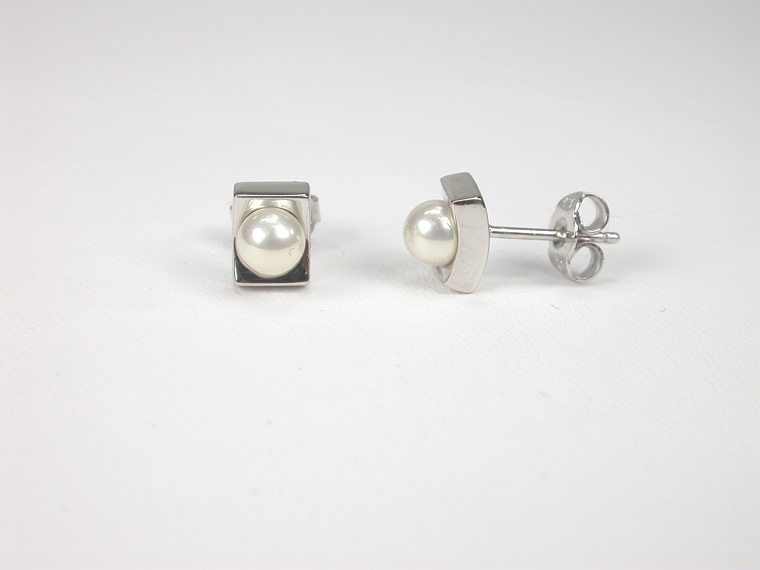 Beautiful Sterling Silver Earrings with 8 mm. 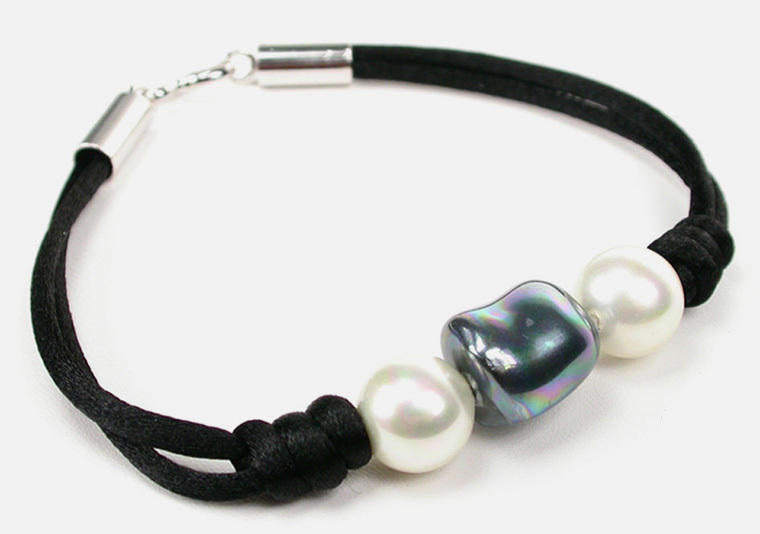 Majorca Pearls and Rose Quartz stones. The length is 37 mm. 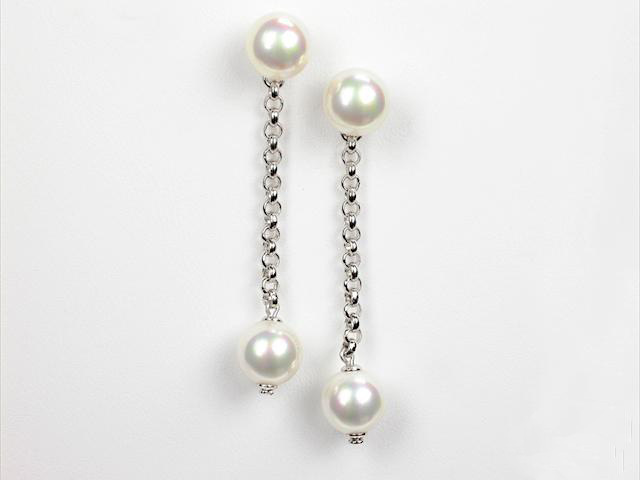 Get a sensual and sweet look with these lovely Earrings in 8 mm white Pearls on Sterlings Silver chain. 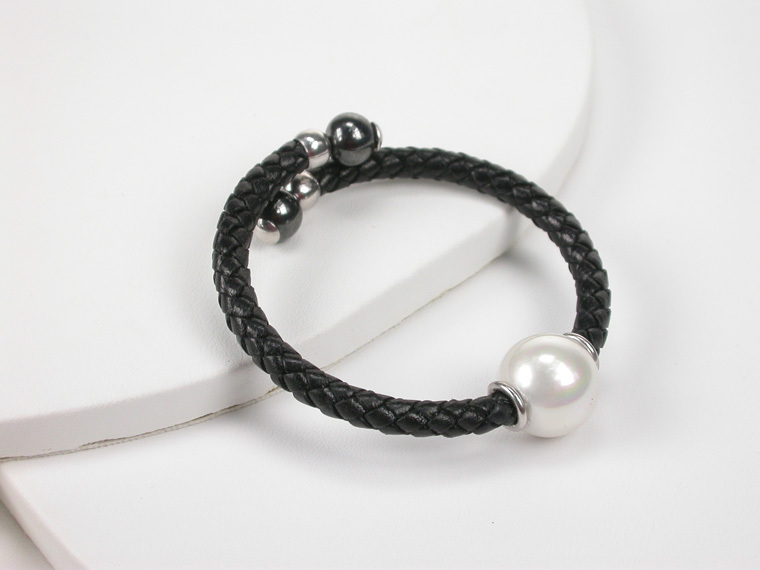 Perfect match with the Necklace! 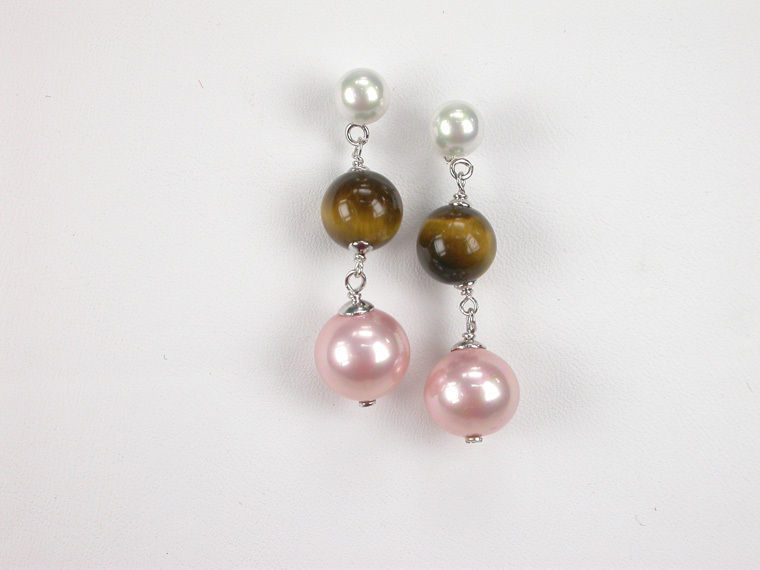 Fantasy Earrings with white and pink Pearls combined with Rose Quartz and Crystals, set in 18 karat Goldplated Sterling Silver mountings.